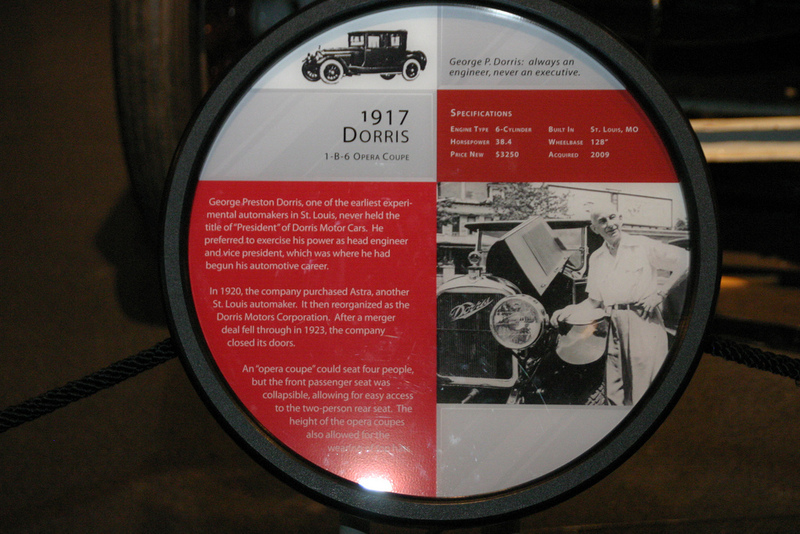 George Preston Dorris, one of the earliest experimental automakers in St. Louis, never held the title of "President" of Dorris Motor Cars. He preferred to exercise his power as head engineer and vice present, which was where he had begun his automotive career. 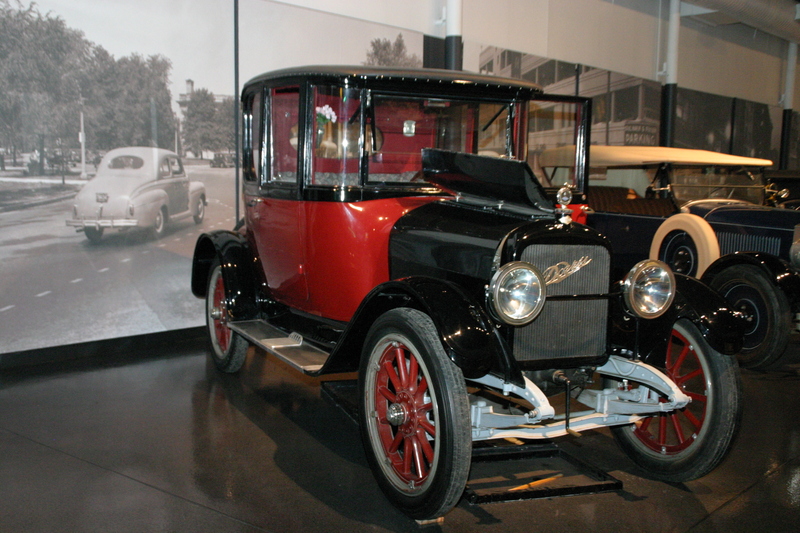 In 1920, the company purchased Astra, another St. Louis automaker. It then reorganized as the Dorris Motors Corporation. 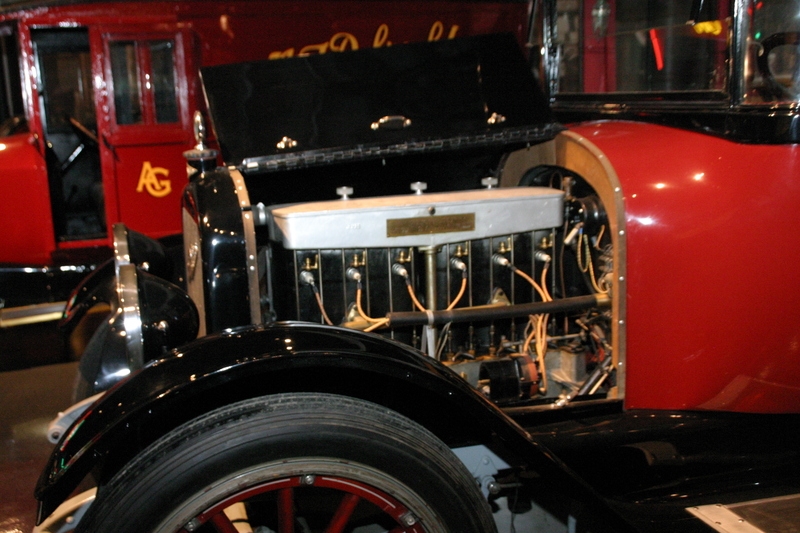 After a merger deal fell through in 1923, the company closed its doors. 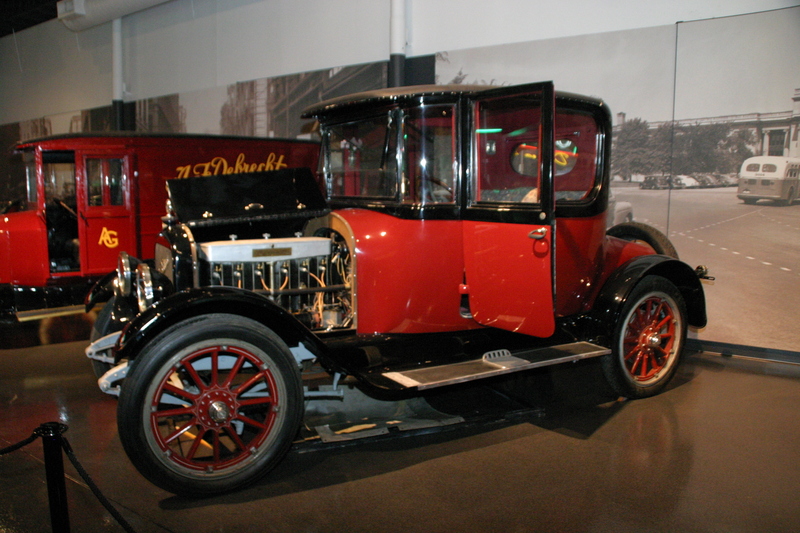 An "opera coupe" could seat four people, but the front passenger seat was collapsible, allowing for easy access to the two-person rear seat. The height of the opera coupes also allowed for the wearing of top hats. Video of the vehicle and another Dorris and a St. Louis.